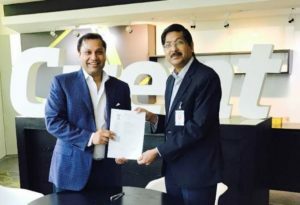 The MOU was signed by Mr. Shrikant Sinha, CEO of NASSCOM Foundation and Cvent’s Founder and Global CEO Mr. Reggie Aggarwal. In its first phase this year, Cvent India has pledged to support the training of 120 youth that come from an underserved background, out of which forty percent will be women. 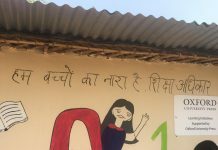 Training will span three months, beginning the third week of March 2017, and will be provided by the Centum Foundation, at its designated centers in and around, Gurgaon. Training will be delivered in accordance with the guidelines set forth by the National Skills Development Corporation (NSDC) through a classroom training framework and instructor-led programme, which will equip the target beneficiaries with the SSC NASSCOM Qualification Pack for CRM Voice QP 2210 and CRM Non-Voice QP 2211. Cvent is the global meeting, event and travel technology leader, with tens of thousands of customers and more than 2,500 employees worldwide. Cvent offers software solutions to event planners for online event registration, venue selection, event management, mobile apps for events, e-mail marketing and web surveys. Cvent provides hoteliers with an integrated platform, enabling properties to increase group business demand through targeted advertising and improve conversion through proprietary demand management and business intelligence solutions. Cvent solutions optimize the entire event management value chain and have enabled clients around the world to manage hundreds of thousands of meetings and events. For more information, please visit Cvent.com, or connect with us on Facebook, Twitter or LinkedIn.